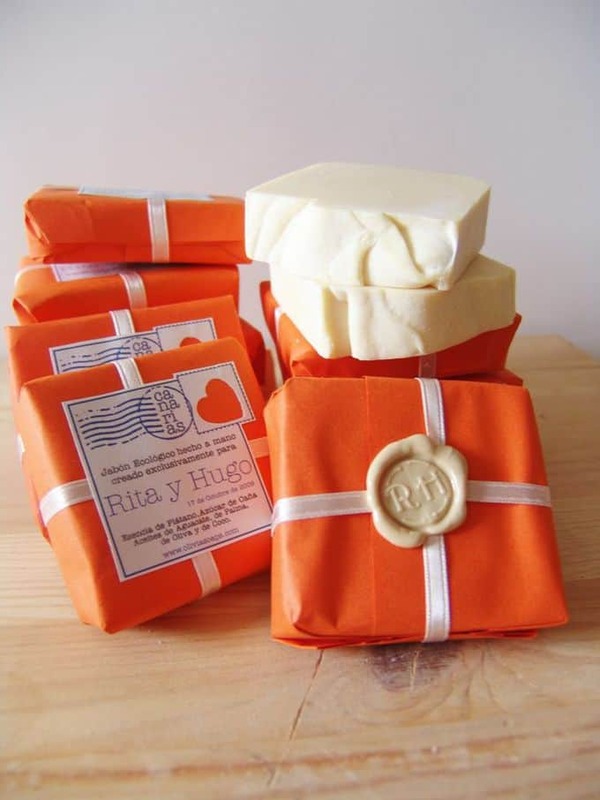 Looking for new ideas for packaging soap? 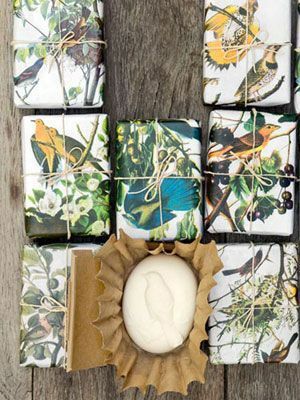 There are so many creative and easy options out there for wrapping soaps! Today, I’m sharing creative soap packaging ideas that you can use for gift giving, selling, or even personal use. 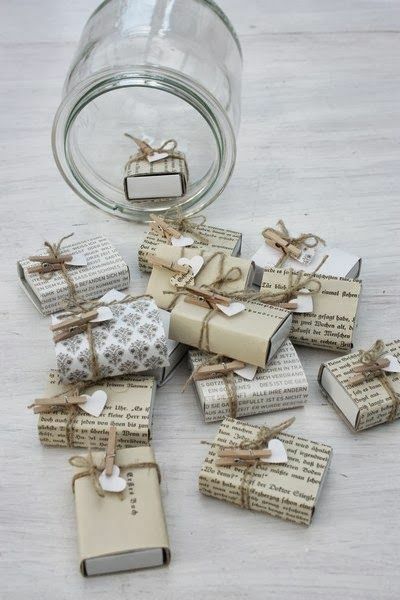 You’re sure to find an easy wrapping idea you’ll love! I love making homemade soap for gifts and for our own home. There are so, so many soap variations; choose your shape, color, and scent to make your soap one of a kind! If I’m giving the soap as a gift, or including it in a gift basket, I always want to make it as pretty as possible. 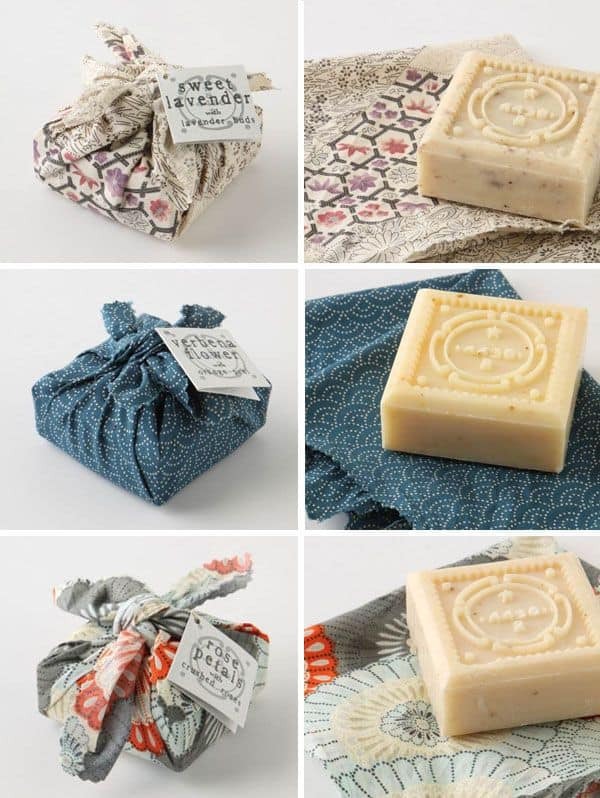 If presentation really is everything, soap packaging should definitely be a consideration when you make your own homemade soap! 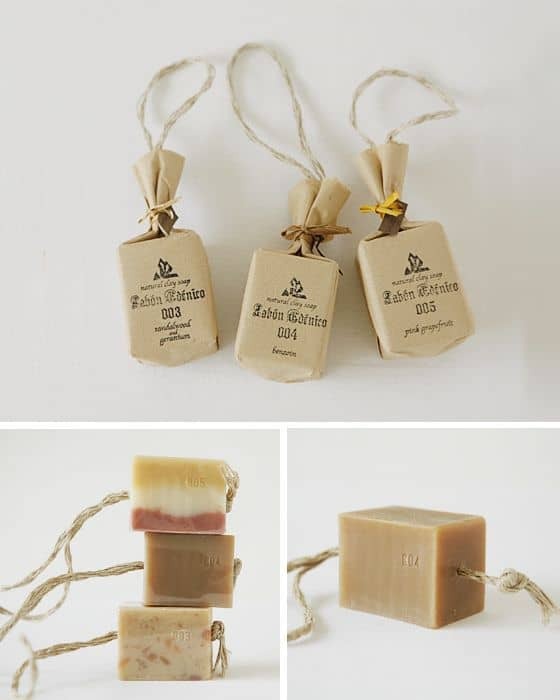 Love how natural and rustic this soap packaging looks! 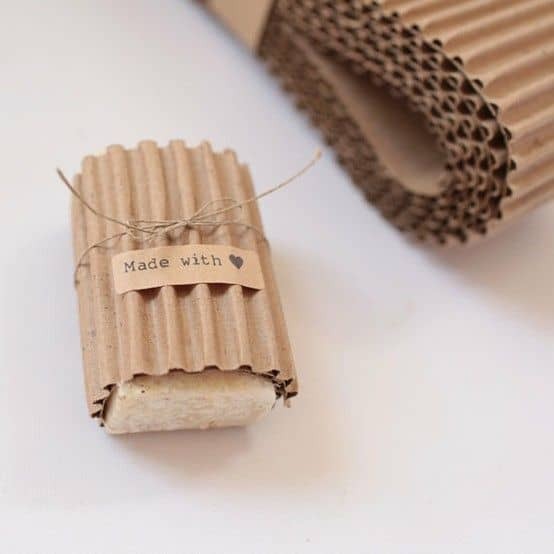 Get similar corrugated paper here! 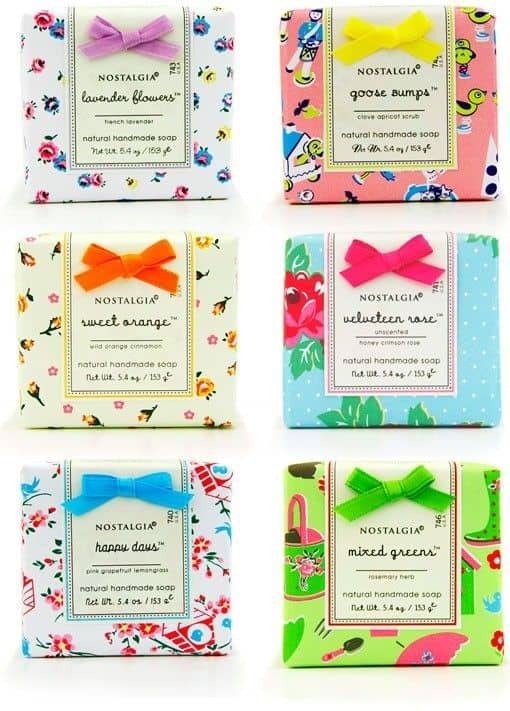 These watercolor papers add such a fun feel to this soap packaging! 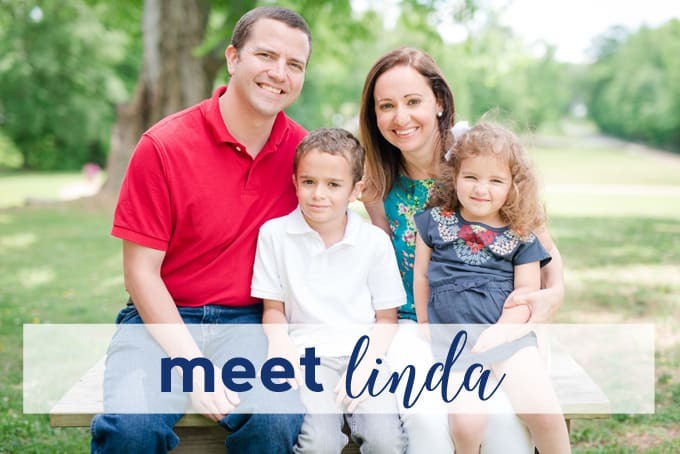 Make your own, or purchase from places such as Etsy, ebay or amazon. 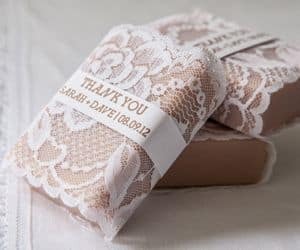 Fabric to package soap? What a GREAT idea! This is such a clever way to use up fabric scraps! 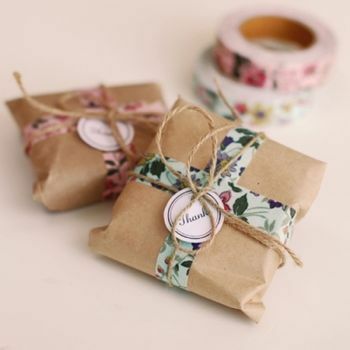 Wax seals make for a unique and personalized way to package your goods. 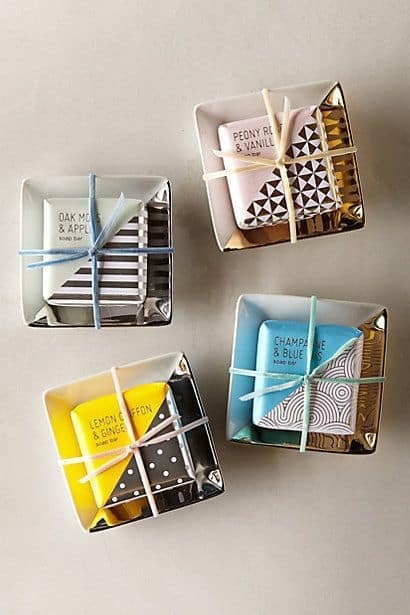 Washi tape adds a fun touch to these kraft paper-wrapped packages. Twine + tiny hearts? So lovely! Bird-themed papers add elegance and endless style. 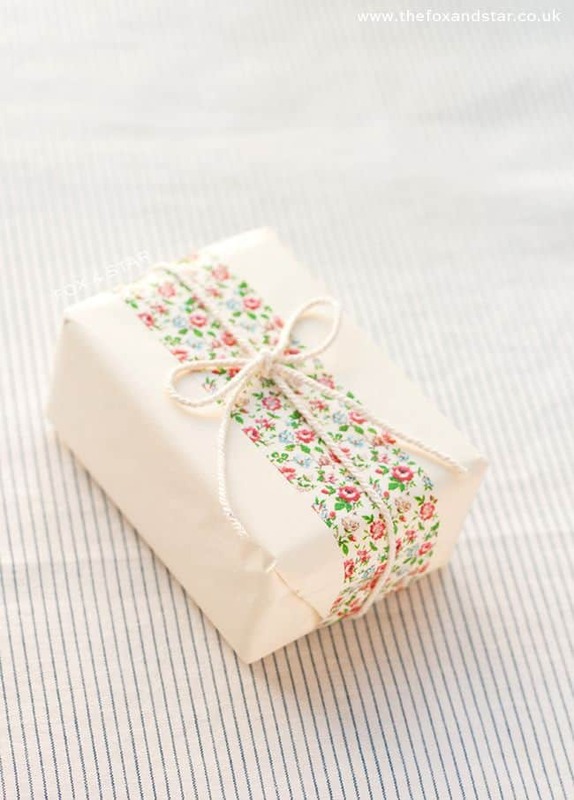 You can easily use wrapping paper, tissue paper or scrapbook paper to add some interest and color to your soap packaging. Again with the washi and twine! So beautiful. Such a sweet bee cutout! Love how happy this soap packaging is! 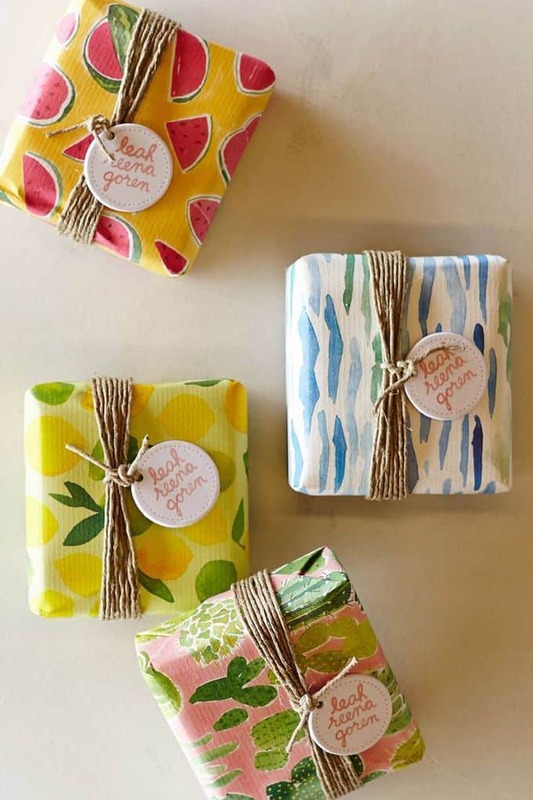 Stamps + kraft tags are a great way to let customers know what kind of soap they’re getting! 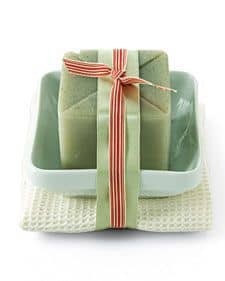 Add a soap dish and cloth to your homemade soap packaging for extra value! Places like Homegoods and World Market often have a great selection of soap dishes and cloths. 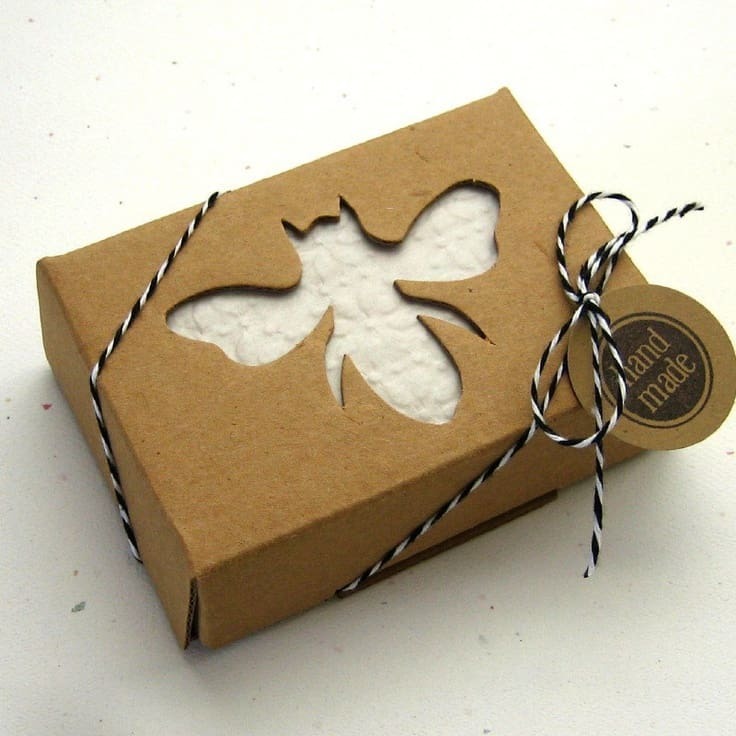 Wax stamps and tissue paper make this packaging so inspiring. 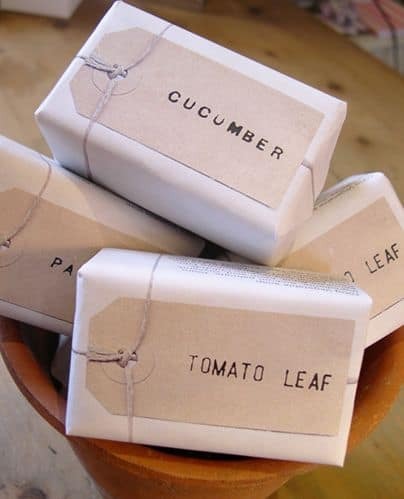 Another lovely idea for packaging with a soap dish! Is there anything jute twine can’t do? I didn’t think so. 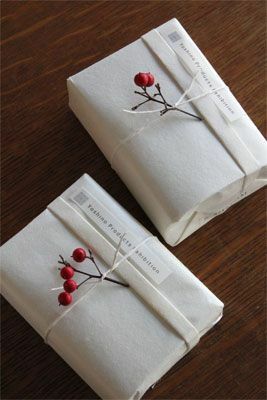 Love this simple and elegant packaging technique. 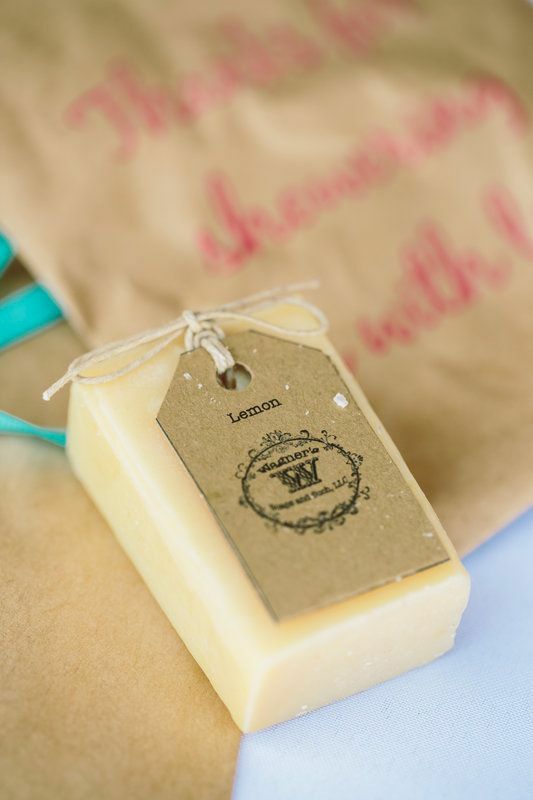 Beautifully vintage-inspired tags add rustic charm to this soap. 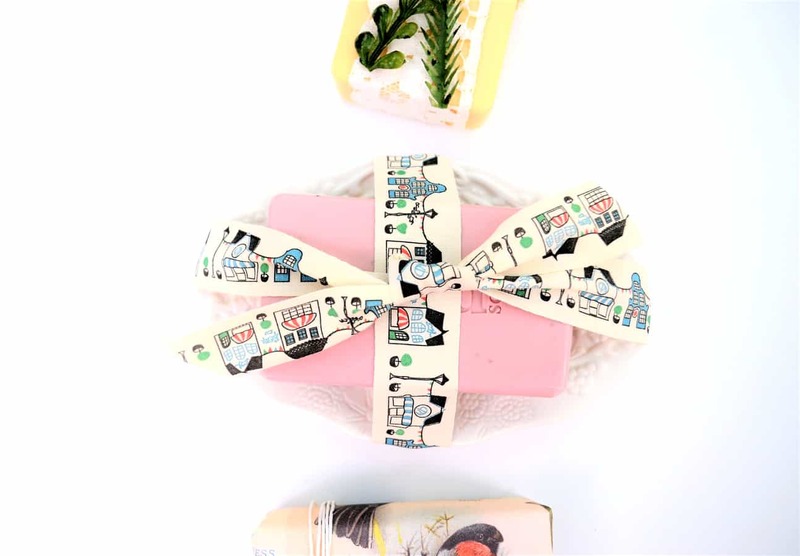 Wrap your soap like confectionary for a fun twist. Yet another great use for cupcake liners! 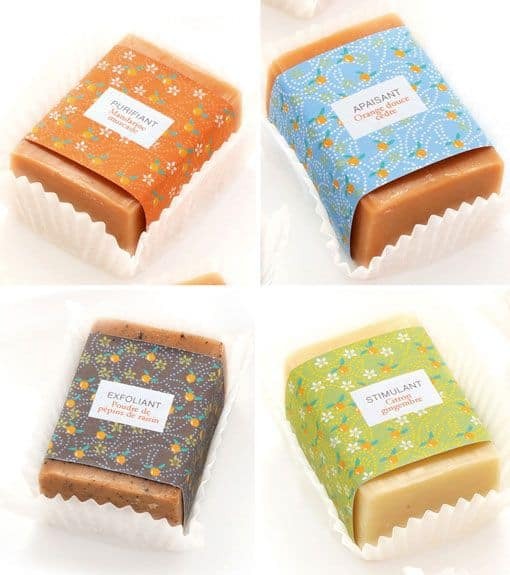 Homemade soap as a wedding favor? Yes, please! 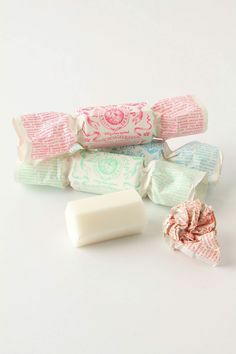 Thanks for reading all about my favorite soap packaging ideas! Have a great day! 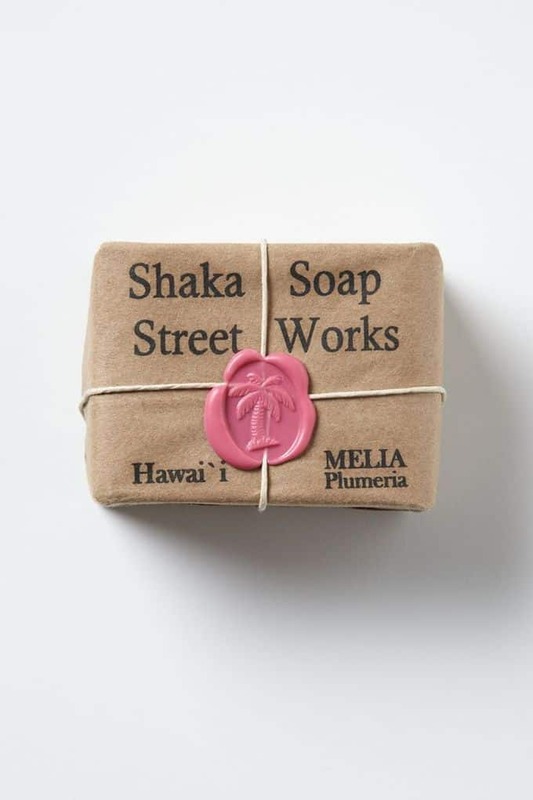 There’s something about soap packaging I like. These are so unique and worth trying to create. Thank you. Packaging is everything! This is a beautiful post. I have to admit to having a wee little problem buying too many beautiful soaps and lotions. I love these! I’ve been thinking about making my own soap but I need to read more about it – I know nothing about this! Those are adorable! I’ve been wanting to figure out making soap for a while, but this just clenches the deal!